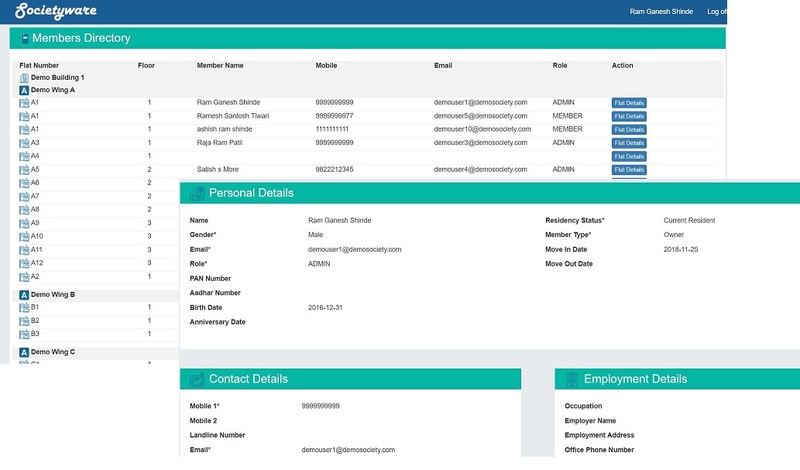 Societyware is the online housing society management software for housing societies in metro cities of India like Pune, Mumbai, Bengaluru and Hyderabad. Societyware is rich in features and can cater to societies of all sizes. Start using Societyware to manage your housing society today! "With Societyware, we can get all members information at once click"
"Societyware has simplified society management with latest technology"
"With everything online, society committee can focus on real issues"
"Thank you Societyware! Societyware brought transparency and accountability"
Are you living in housing society in metro cities of India? Are you on one of the housing society’s management committee? Do you want to improve transparency, trust and collaboration within your housing society? © 2018 SocietyWare. All Rights Reserved.